TSG recently participated in a research effort with Deep Analysis. The fundamental undertaking was to understand what alternatives innovative customers are considering when it comes to moving from Legacy ECM 1.0 to modern ECM 2.0 capabilities on premise or in the cloud. 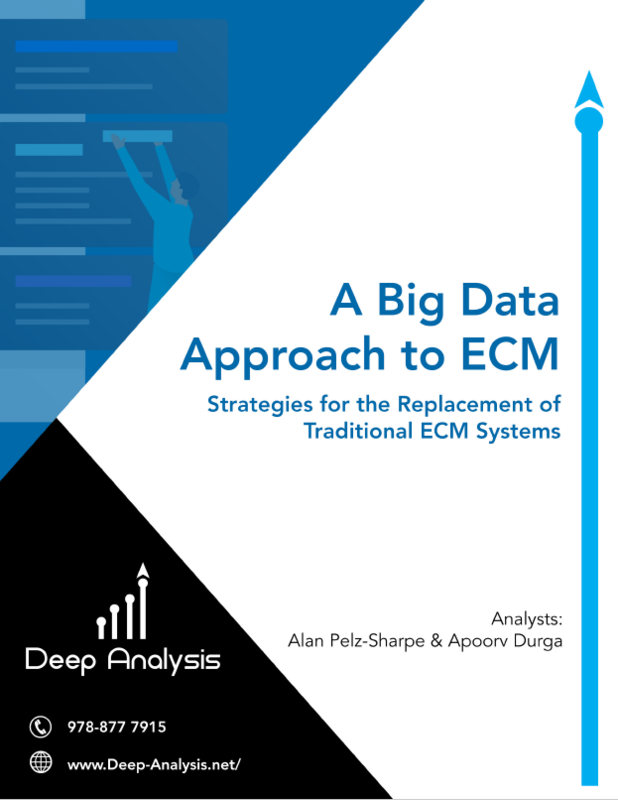 Alan Pelz-Sharpe and the analysts of Deep Analysis conducted a deep dive into Big Data and particularly NoSQL databases, Hadoop and DynamoDB. Fill out the information on the right to download a copy of the full report.